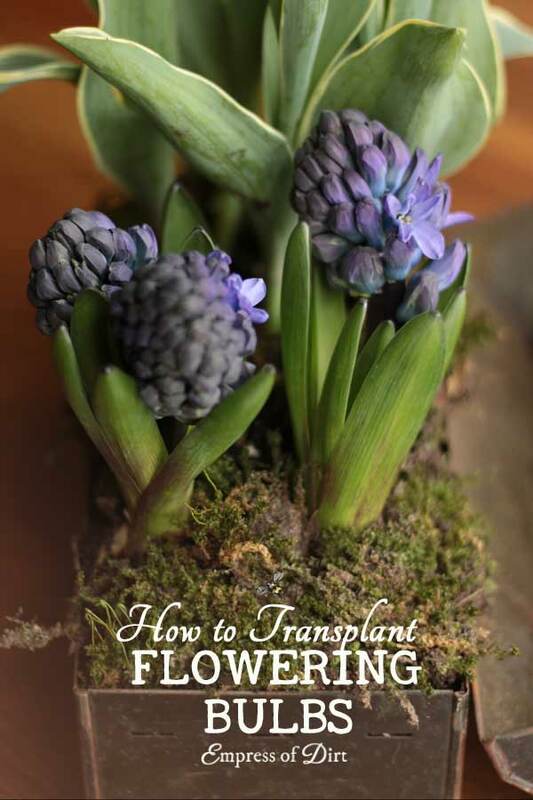 If you’ve got spring-flowering plants like tulips, daffodils, hyacinth, or paperwhites in pots from the grocery store or blooming in the ground (after a winter chill), you can move them to containers and display them indoors or outdoor. 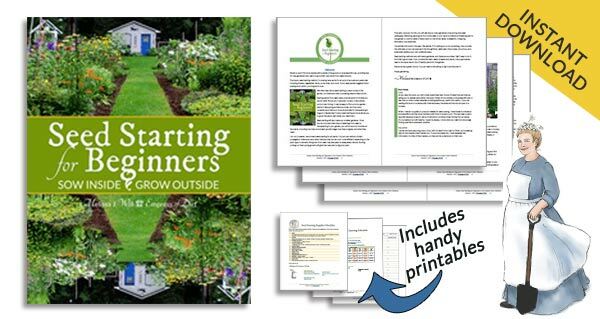 If you’re new to this, grab the free indoor bulb-forcing calendar here. I love to grow spring-flowering bulbs and have lots of them, and keeping them in containers in the house is another way to soothe my spring fever. The ones you see pictured above (pink wrappers) came from a variety store in a tiny town nearby and I could not resist. The price was low and the flowers were ready to burst open. In fact, just a day after bringing them home (adding some water and placing them in the sunny windowsill), they were open. You might like them just fine in their plastic pots with the crinkly, colourful wrappers, but there’s also the option to repot them—even when they’re blooming—to change it up a bit. Personally, when the plants are this breathtaking, I like to make them the focal point of the display, aiming for a more natural look. If you don’t want to repot, the super-quick option is to simply slip the plastic pot into a slightly larger container and call it a day. I’ll give you some ideas for easy ways to add some unique style for potted bulbs like these ones. 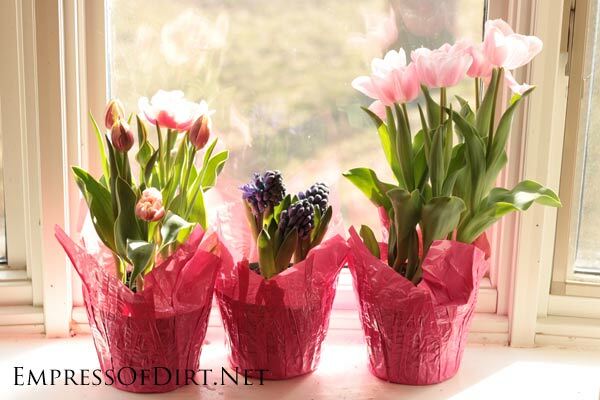 Potted flowering bulbs: tulips, hyacinth, daffodils, paperwhites etc. Pick ones that are not yet in bloom but on their way. Or buy bulbs and force them yourself (it’s seriously easy). 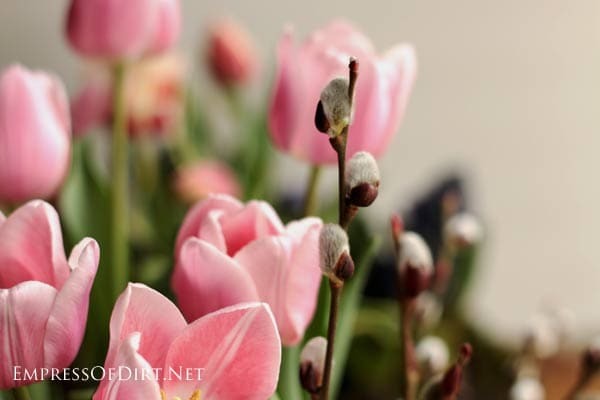 Flowering or near-flowering bulbs in the ground outdoors. Moss (look for environmentally-friendly choices you approve of). You may have some in your yard or get some at a craft or garden shop. Often it’s dry in the bag and you soak it in water to reconstitute it (making it mossy and workable again). The goal is to leave the roots as undisturbed as possible and make them believe they haven’t really been transplanted. Much like your kids when you have to move away from the neighborhood. To prepare, get your destination container or pot ready first. To remove the plant from its original pot, don’t pull on the foliage. Instead, rest the pot on its side and gently press the sides of the pot. This should start to ease the plant out (unless its super dry and just slides out). Now, hold the plant at the base (near the soil) and gently glide it out of the pot. You are now officially a tulip midwife. Are there roots visible? Is the container soil holding firm in its original shape? That’s fine. Leave it just as it is and place it in the new container. When digging up bulbs in spring, just be careful not to damage/touch the bulb or roots. 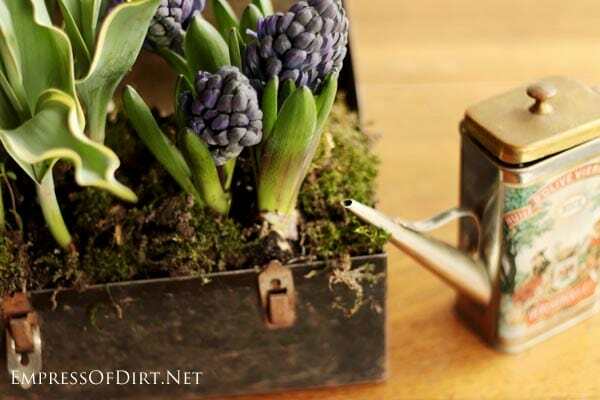 Plant it at the same depth in the new container and fill in any open areas / air pockets with more container soil. Decorate as desired and water the soil. Prior to blooming, I keep my containers in a sunny location, careful never to let the soil dry out. Once blooming, they last a nice long time in indirect light. 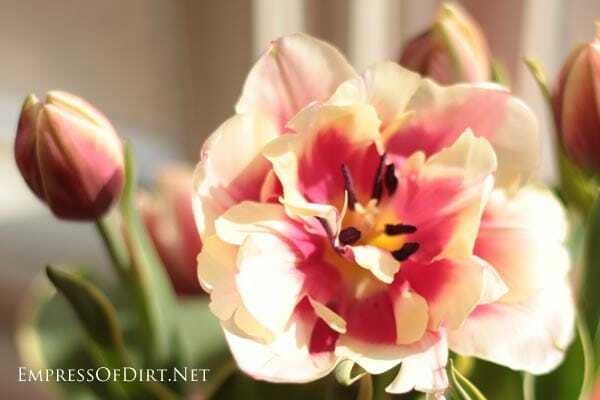 Whether or not you can get future blooms after this first cycle depends entirely on the type of bulb. Unfortunately, most are not sold with tags to give you a clue. However, it’s likely that if the bulbs can be forced again or planted outdoors, there probably is a tag saying so since it’s something to brag about. Barb from Our Fairfield Home and Garden has a great idea for gifts and plant exchanges. She plants a whole bunch of bulbs in the fall in raised beds. 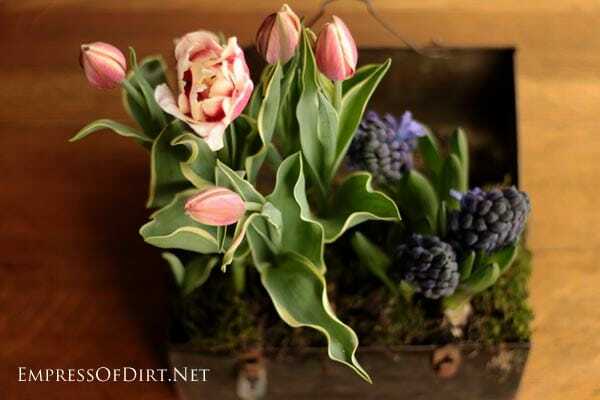 The following spring, she digs up the bulbs and donates them. Very nice to receive flowering bulbs that are all ready to bloom!